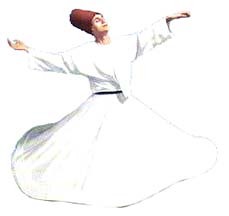 Though Rumi (1207-1273 A.D.) composed tens of thousands of ghazals (odes and quatrains) in Persian, his poetry is as fresh and immediate today as the sound of one's own breathing. That timeless quality has intrigued scholars, romantics, and rebels ever since. We in the West view modern life with an uneasy amalgam of scorn and acquiescence, embracing conveniences provided by technology, yet mourning the loss of values, meaning and connection with the earth and other people. We have reached our destination, yet we are lost. Rumi offers solutions that apply today more than ever. As Andrew Harvey wrote, "Rumi is the slave and hero of love, who can help us find in our battered hearts passion and faith."